Bob Dylan's cultural production in the second half of the twentieth century, his songs, but also his changing images and self-fashionings have informed and productively re/shaped certain images of America from outside and within. 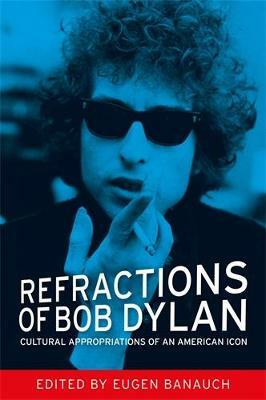 Refractions of Bob Dylan collects scholarly essays which thoroughly investigate the routes of Bob Dylan's cultural appropriations. The collection looks at how Dylan has been used and interpreted by others, and how his work has been reworked into cultural expressions in culturally and regionally divergent spaces. Additionally, a number of essays look at what Dylan has appropriated and incorporated in his own work, focusing on questions of plagiarism, tribute, allusion, love and theft. Some of the essays originate from the Refractions of Bob Dylan conference in Vienna (www.dylanvienna.at) which took place around the 70th birthday of Bob Dylan, and included Dylan experts such as Clinton Heylin, Stephen Scobie and Michael Gray.